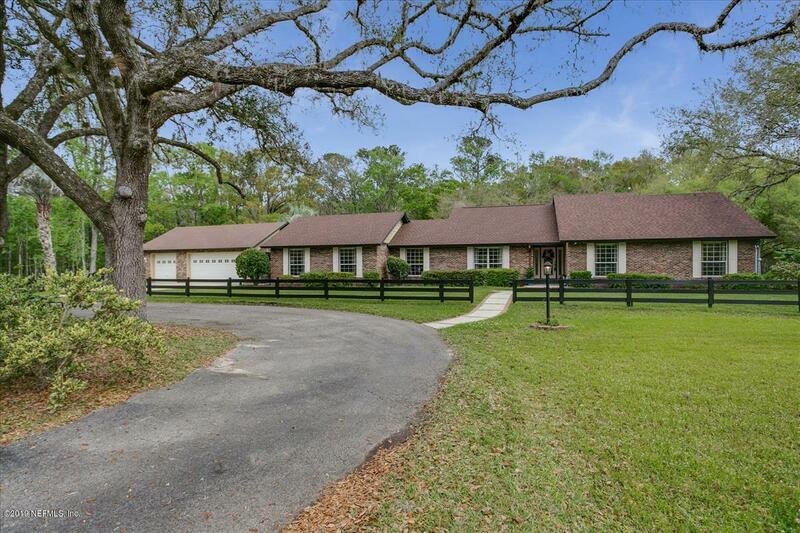 IF YOU ARE LOOKING FOR LAND AND/OR HORSE PROPERTY, OR JUST YOUR OWN PRIVATE ESCAPE! This is the property for you! 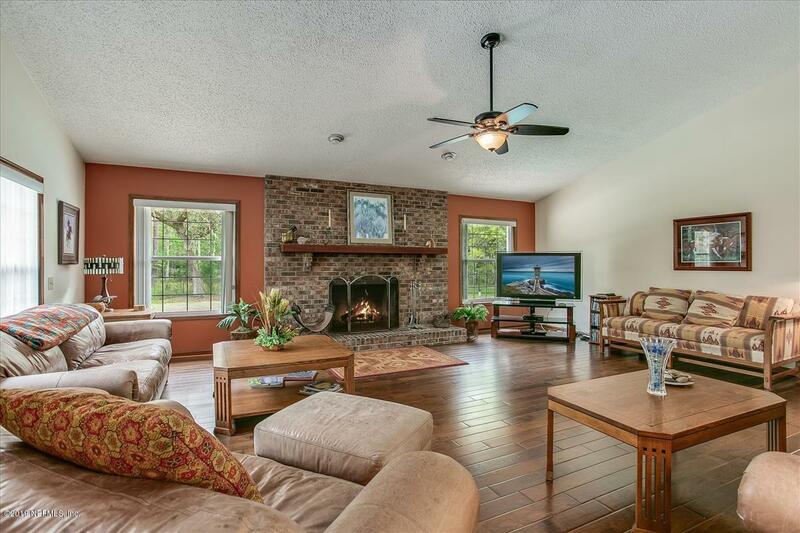 Almost 50 acres of country living yet close to everything including major Highways. 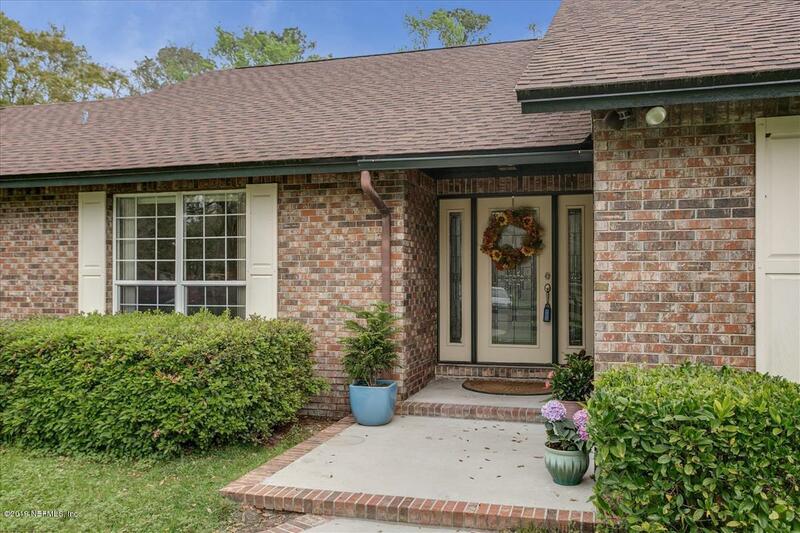 This Bright brick 4/3 Pool home features a split floor plan. Master suite, opens up to patio/pool. 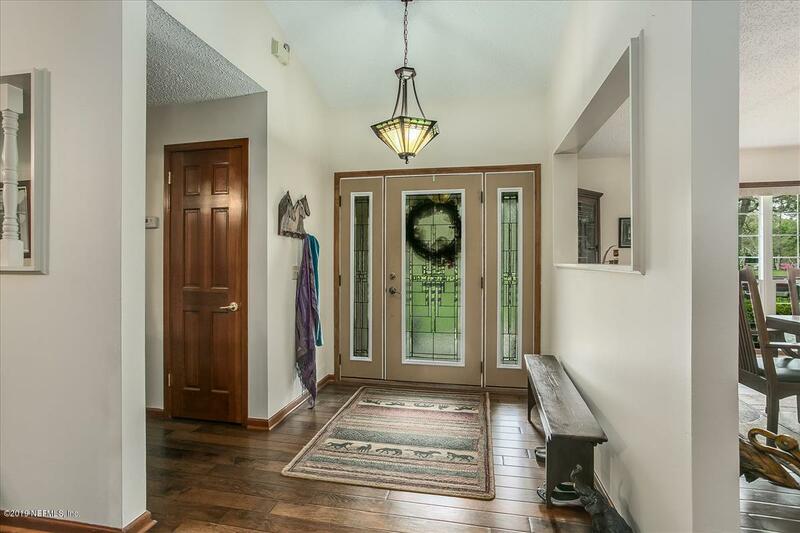 Spacious 3 additional bedrooms plus 2 baths, an open Den off the great room, wood burning fireplace, stainless steel appliances, granite counters, newer roof.Horse Barn has 3 large stalls and 2 smaller stalls with 2 storage rooms and pasture. Fenced in rear yard. 3 car detached garage with tons of storage above the garage as its floored and lite, Separate shed and a beautiful Pond with a bridge. This very well taken care of home is looking for a new owner that wants privacy and lots of spacebut also a convenient location.